Intuition, or a sixth sense, is the ability to know something from an instinctive point of view rather than intellectual reasoning. It’s a feeling you get when you walk into a new home and just know this is the one. Or a feeling you get when faced with a big decision, like a new job. Your head might say “yes you’re being offered a lot of money,” but your gut might feel sick and uneasy. 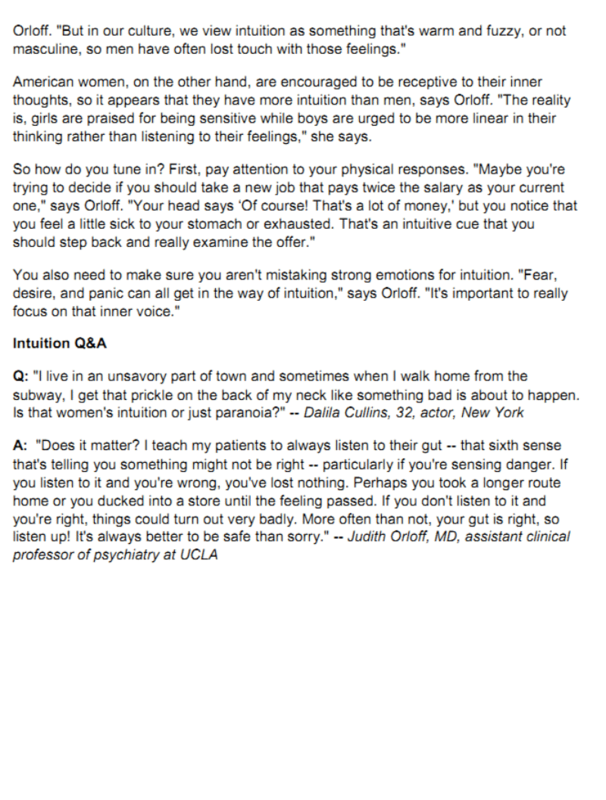 Both men and women have intuitive abilities but, in our culture, we view intuition as something that’s warm and fuzzy, or not masculine, so men may have a harder time getting in touch with those feelings. 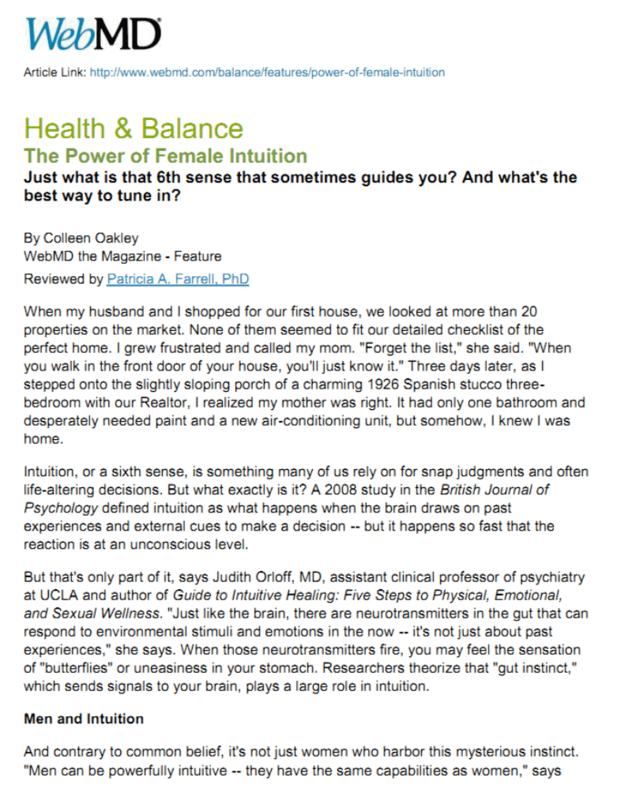 In this article in WebMD, I share how to recognize intuitive guidance in the body when making important decisions and also how to begin to trust gut- centered messages to guide your life. Read the full article on WebMD here.